Register Today for Spring and Summer! PSLL Baseball & Softball Summer Camp @ Con Ed Field, July - August. Register Today for Days or Weeks! Please note that as of January 1, 2018, the new USA Baseball Bat Standard was implemented and applies to all players 7 and up. Little League baseball bats that were approved for use in the 2017 season are not acceptable for use in any Little League game or activity! Visit usabat.com for more information on the USABat standard and a complete list of approved bats. PSLL 12u Team Wins District 23 Championship! Congratulations to PSLL's 12U Tournament Team for winning the District 23 Championship again (3-peat!). Congratulations to our 2018 Division Champs! Watch the Today Show's segment on our very own Challenger Division, which aired on Sat. June 16th. Wonderful article on PSLL's humble beginnings and path to where it is today, written by former PSLL little leaguer and former Assemblyman Steven Sanders. Love PSLL? Please donate to help us make it even better! We are an all-volunteer Little League. Registration fees help PSLL to offset the costs of uniforms, equipment, field maintenance, and occasional professional coaching opportunities. Registration fees do not cover full operating and equipment costs for the league. All donations of any size are greatly appreciated, tax deductible and may be matched by your employer. Thank you for your support! Thank you to ConEdison for their support and use of the fields! Peter Stuyvesant Little League (PSLL), founded in 1956 in partnership with Con Edison and more recently Stuytown Property Services, serves more than 800 baseball and softball playing children from Manhattan’s east side on its Con Edison Ballfields and McGinn Field/Murphy’s Brother’s Park on Avenue C, adjacent to Stuyvesant Town and Peter Cooper Village. A bedrock of family and community in New York City, PSLL offers not only baseball and softball instruction to boys and girls each season, but also such intangibles as sportsmanship, teamwork, courage and the importance of fitness. Registration is open to all interested players either residing or attending school between E. 10th and E. 72nd Streets, east of Fifth Avenue in Manhattan. 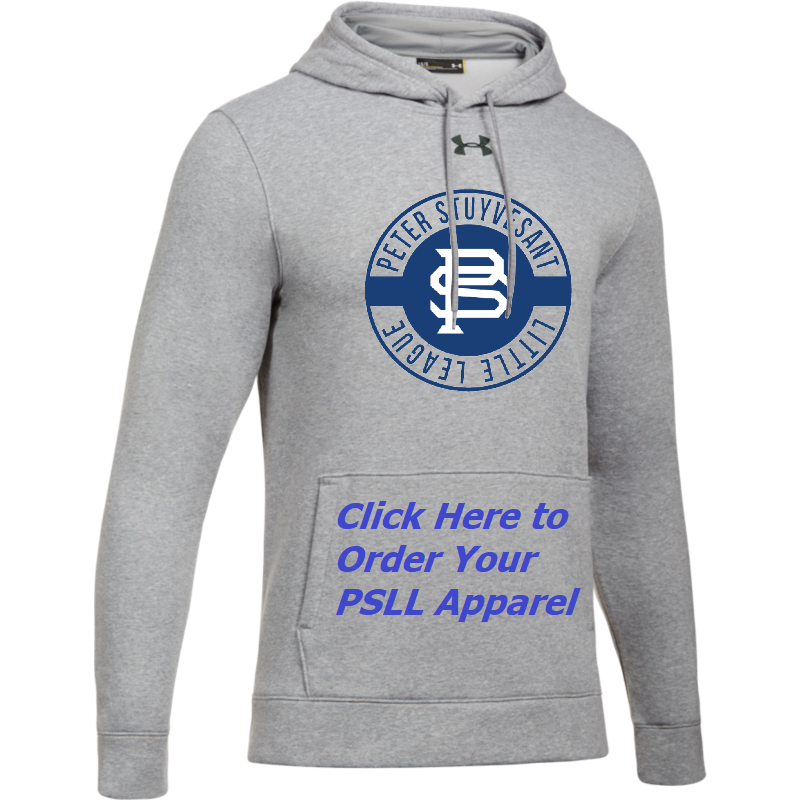 PSLL is a fully volunteer, non-profit organization chartered by Little League International, and runs winter, spring, challenger and summer baseball programs for children of all abilities ages four through sixteen. Thank You to Our 2019 Grand Slam Sponsors! ©2019 Peter Stuyvesant Little League / SportsEngine. All Rights Reserved.